Abishai, inspired by reading about Johnny Appleseed, saved the seeds of his apple from our morning snack and asked if he could plant them. After digging a tiny hole in our front yard, the boys counted the seeds, divided them among themselves and placed them in the ground. I have no hopes of anything sprouting, but it was fun nonetheless. 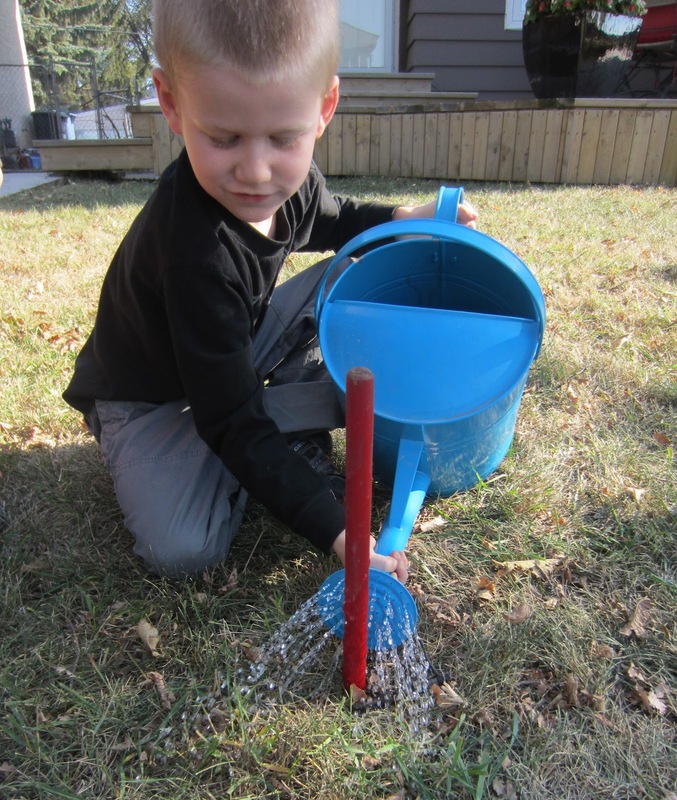 Abishai watering his seeds with a red stake to mark the spot.